A decade after Hurricane Katrina devastated St. Bernard with flood waters…the parish moved out of recovery mode and is continuing full-on redevelopment. Damaged structures and blight have been removed, levees fortified, infrastructure replaced and upgraded and businesses as well as arts and cultural amenities are migrating to St. Bernard and flourishing. With the end of the Road Home Program–St. Bernard has hundreds of former Louisiana Land Trust properties that are now being offered through this unique Sold on St. Bernard program. This special program offers tremendous value & savings for homebuyers. 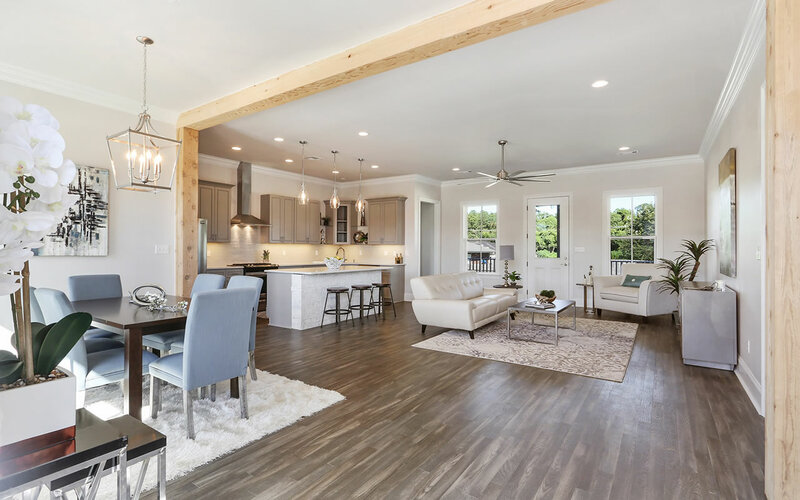 Our select builders have acquired ‘bundles’ of lots at bargain prices allowing them to focus their efforts on building quality homes, many priced between $200,000 and $300,000–thereby passing the savings on to you! The builders are required to construct two homes within six months from the purchase date and an additional home for each home sold thereafter–also within in six months. This will allow for the redevelopment of whole neighborhoods, creating a thriving community. The builders selected to participate in this unique program bring their own style and flare to the construction & design of their homes. They were selected because of their sound building practices and quality of construction. And St. Bernard has added its own standards in order to ensure exceptional quality and style. The program promotes traditional regional housing types such as cottages, shotguns, center hall homes and farmhouses. However, no specific style is required and often the end product is a pleasing blend! If you simply want to purchase a lot and build your own ‘Dream Home’, you can do that as well. First you’ll need to contact the St. Bernard Department of Community Development where our staff will guide you through the process. Potential buyers can also choose from various plans and lots offered by our Sold on St. Bernard Builders- to discuss options with a builder, visit our Builder’s Page, scroll through their sample homes and contact either the builder or their associated realtor. Or you can simply contact a Realtor. To see what lots and or properties are available, go to our Available Properties Map. 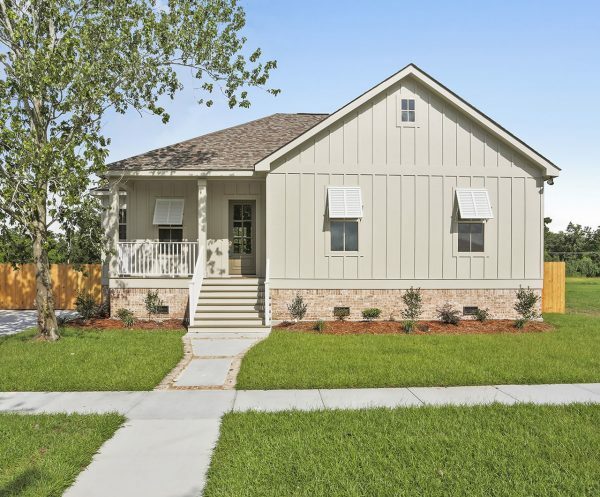 If you already live in St. Bernard parish and want to acquire one of these available properties next door to your own to expand your green space, you may purchase an adjacent lot for a greatly reduced price. These properties are only available outside of the Builder Bundles. You can search for available lots here –Available Properties Map. To inquire about a particular property or get more information about any of our programs stop by, email or call us.